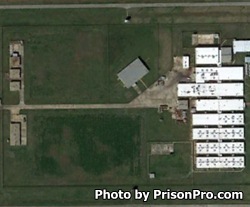 Vance Unit is a minimum security prison located in Richmond Texas. The facility dates back to 1885 and was originally named Harlem II Unit, later it was renamed after a Texas Governor and became the Jester II Unit. In 1999 it was renamed a third time and became the Carol S. Vance Unit. Carol Vance was a former chair member of the Texas Board of Criminal Justice, and implemented a Christian faith-based rehabilitation program which was modeled after a similar program from Brazil. The prisons Christian influences can be seen immediately upon entering the facility through multiple murals that depict scenes from Christianity. Vance Unit houses a maximum of 378 adult male offenders who range from G1 to G2 custody levels. Vance Unit offers a special treatment program called the InnerChange Freedom Initiative which is a faith based treatment program that lasts many months and has several phases. The program encourages the development of moral and spiritual filters and creates a value system for the offender. The InnerChange Freedom program contains many bible study classes and preaches the sins of criminal behavior. Additionally inmates at Vance Unit who are in the InnerChange Freedom Program must participate in community work projects. Traditional education programs such as adult basic education, literacy, and GED courses are not available at Vance Unit. Work detail at the Vance Unit includes facility maintenance, mechanical shop, unit garden, and a swine finishing operation. Life skills courses, parenting classes, various support groups, victim awareness and job skills courses are available to inmates through volunteer initiatives. Offenders incarcerated at the Vance Unit in Texas are allowed visitation on Saturdays and Sundays from 8am to 5pm. Inmates are allowed a single two hour visit each weekend, however if you arrive after 3pm you will not be allowed a full two hour visit, as visitation ends promptly at 5pm.